This ubiquitous spice on nearly every table in America is for more than just flavoring. Black pepper actually increases your ability to absorb nutrient. Black pepper stimulates the activity of the digestive tract by increasing the production of digestive enzymes and supporting normal gut motility. Black pepper also is a circulatory stimulant so it increases blood flow to the gut, which helps the digestive tract to work more efficiently and carries the nutrient to the rest of the body. Black pepper as a medicinal herb was traditionally used for sluggish digest and low stomach acid, but it can help nearly anyone get more out of their food and supplements. Its effects are intensified by heating so adding black pepper to your food as it cooks makes it a better digestive enhancer, but watch out too much black pepper cooked into a dish can get very spicy. Because of these digestive benefits, black pepper extracts are used in some supplements to enhance their absorption. 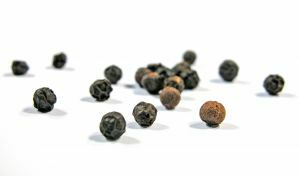 Piperine, an active component of black pepper sold under the name BioPerine, has been shown to increase the absorption of various vitamins, minerals, and antioxidants. This is especially important with harder to absorb supplements like curcumin from turmeric, a popular inflammation-modulating herb. Supplement companies choose many different strategies to help get curcumin into the bloodstream, but BioPerine is one of the most popular approaches. I also mix a little bit of ground black pepper into my jar of turmeric so I know I am getting more out of my turmeric every time I cook with it. This entry was posted in Herbs and tagged black pepper, cardiovascular health, circulation, detoxification, digestive health, digestive tract, food, GI Health, health, heart health, inflammation, nutrition. Bookmark the permalink. Black pepper is a oldest and most important part of Indian dishes with turmeric. Black pepper is used in Ayurveda in preparing many medicines for disorders of different systems. 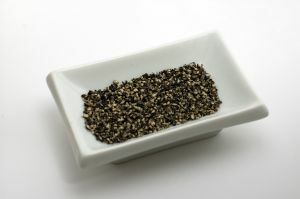 Your article on “Black Pepper” is very authentic and encouraging to use it in daily food cycle. Thank you. You are right, and some of my inspiration does come from the Ayurvedic use of black pepper.